I had to go down to the hospital very early today. On the way back, I was exhausted and stopped in a coffee shop. And what do you know? My whole day was transformed. Somebody had left a copy of The New York Times behind, and there staring up at me from the front page was the man himself, wee Joyce. with his head and hat cocked in the famous pose. Left, a screenshot from ChinaDaily's website, with an article headlined "Joyce's Finnegans (sic) Wake sells out quickly in China." When my mother died she was buried in a small Donegal graveyard. Being an atheist, I did not let the preacher speak for me. After he was finished I spoke of my mother's life and read two Joyce poems. Genius, which if it is genius, corresponds to reality, and Joyce's genius found its way into that small graveyard. Or, to put it another way, it is hard to keep a good man or woman down. So what was this article in The New York Times about? Well, it seems that "Finnegan's Wake," the most complex of all his works, has now been translated into Chinese, it did not say was it Cantonese or the other Chinese language. And, what do you know, the book is flying off the shelves. They have had to have a second print run already. MS Dai Congrong, the translator, says: "It is beyond my expectations." It reached No. 2 on the best-sellers list. One reader said: "I am so desperate to know how it feels to read the most complicated book in the world." MS Dai deserves a medal. To translate Joyce's work she had to create new Chinese characters, a big step as the language already had tens of thousands of characters. Ms. Dai has not finished her translation completely. She says it will take another six years. Her husband, who is gettiung very annoyed with Joyce because he hardly ever sees his wife, thinks it will take another 20 years. He is getting like Nora, who got fed up with Joyce in her time and referred to "Finnegan's Wake" as "That Chop Suey you're writing." HHHmmmmm, Choy Suey and a Chinese translation of "Finnegan's Wake." It gets more Joycean by the minute. Supporters of the book and of Joyce say his genius is that he pushes the limits of language. It is to be read as poetry, say many. A prominent Chinese writer says "Finnegan's Wake" could inspire Chinese people to write. And, the writer suggests, maybe after they read it they will take literature seriously or even write. Ms. Dai, the vice dean of the Department of Chinese Literature at Fundan University in Shanghai says: "The traditional writing style of Chinese literature needs to be changed after all these years. Someone needs to stand out and lead by his (or her) unique wriiting, like what James Joyce did in Western literature." Not bad from a boy from Dublin. Maybe change the literature of a country of over a billion. As I say, they banned him in Ireland, they drove him out, then they had to retreat and put the bronze quotes from him on the Dublin streets and now he is penetrating the world and its most populous country. 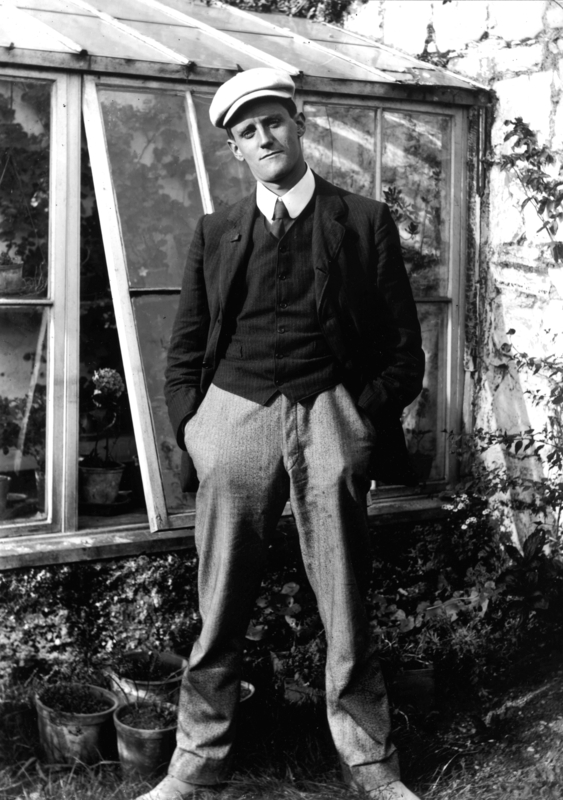 Right, James Joyce in 1904, 22 years old. Google "John Throne" or "The Donegal Woman" to learn more of my political views and activities in Northern Ireland and elsewhere and for reviews of my book "The Donegal Woman." I remember reading another magazine article (TIME?) in a dr’s office years ago about a couple who were translating ULYSSES to Chinese. They lived a near-monastic existence writing in shifts, and were attended to by a relative for their needs for living, in order to complete the herculean task. The hunger for the material in China was near-palpable! So exciting! Great WG article addition John Throne!